The Duke of Sussex, Prince Harry, is the latest member of the British monarchy to visit Africa in the wake of British Prime Minister Theresa May's push to deepen trade ties with the continent following Brexit. 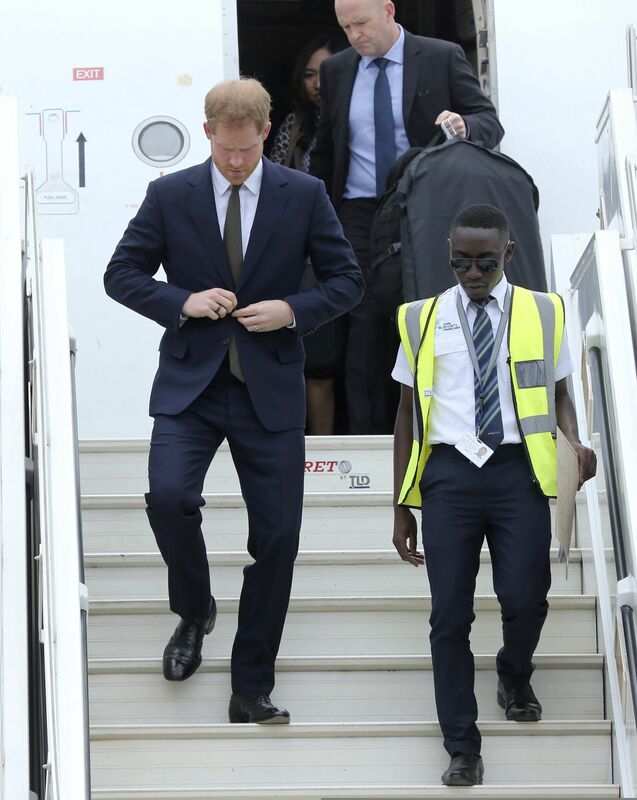 Harry has begun a two-day trip in Zambia and is following in the footsteps of the Prince of Wales and Duchess of Cornwall who toured three other African nations earlier this month. Theresa May made a high profile trade mission to Kenya, South Africa and Nigeria during August and September, in an attempt to bolster Britain's post-Brexit fortunes. The duke, who is visiting without pregnant wife Meghan, highlighted the growing economic ties between the UK and Zambia during a reception which celebrated the relationship between the two countries. He told guests, "Britain is Zambia's oldest relationship. It is one that has thrived over the past 54 years, and it continues to evolve - from the UK's development assistance, to growing mutually beneficial trade and investment. "The British Chamber of Commerce is exemplary of that. The chamber, working together with the British High Commission, has launched an effort to contribute to Zambia's economic development - making it easier to do business in Zambia, and encouraging more British companies to trade and invest here." Speaking at the residence of Fergus Cochrane-Dyet, Britain's High Commissioner to Zambia, Harry added, "There are many well-established British companies here already and more are arriving. By creating jobs and wealth, the private sector is a catalyst to ending poverty." 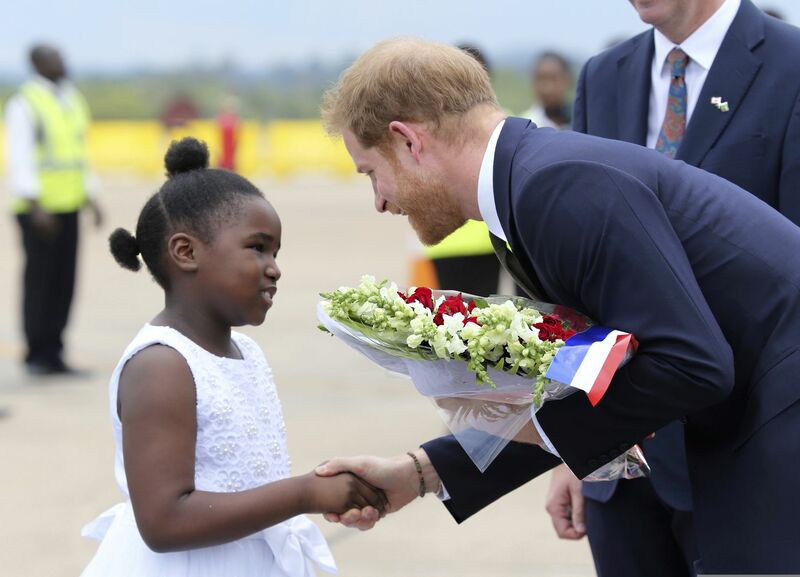 When he arrived in Zambia earlier today, the Duke of Sussex was met by nine-year-old Jane Chawanangwa, who presented the prince with a large bunch of flowers at the airport. The duke also met Zambia's president Edgar Lungu during a meeting at State House in Lusaka. As president of animal conservation charity African Parks, Harry offered to bring elephants from neighbouring Botswana. 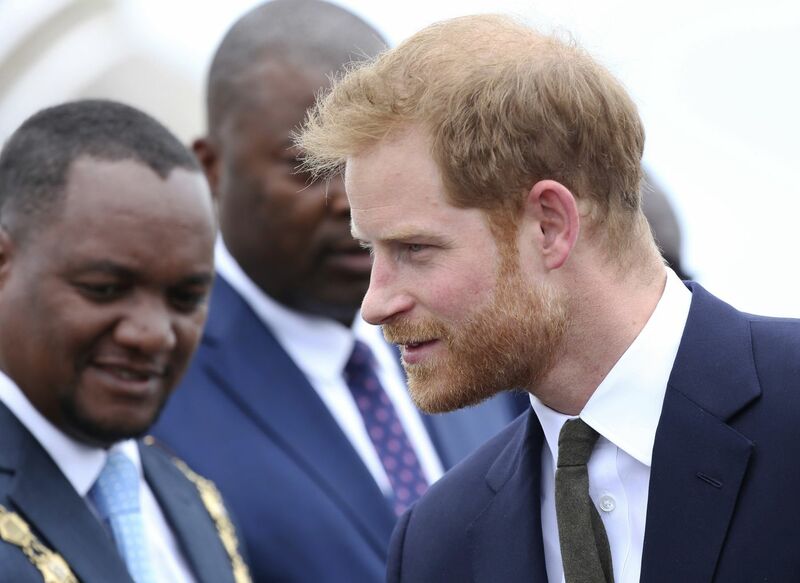 “Prince Harry told the president during closed-door talks that African Parks will help move between 500 and 1,000 elephants from Botswana into Zambia’s Kafue National Park," Lungu's spokesman Amos Chanda said. “He said this should help boost Zambia’s tourism and create jobs, especially for the youth." Harry is a frequent visitor to southern Africa for his conservation work and holidays. Britain's Prince Harry is welcomed upon his arrival at Kenneth Kaunda airport in Lusaka. Britain's Prince Harry walks down the plane steps upon his arrival at Kenneth Kaunda airport in Lusaka, Monday. Britain's Prince Harry receives flowers from a girl upon his arrival at Kenneth Kaunda airport in Lusaka, Monday.